Farmers are frustrated by the Green Party's refusal to accept genetic engineering may be needed to fight the effects of climate change. A ryegrass has been developed which can substantially reduce methane emissions from cattle that eat it. It also grows much faster and is more resistant to drought. 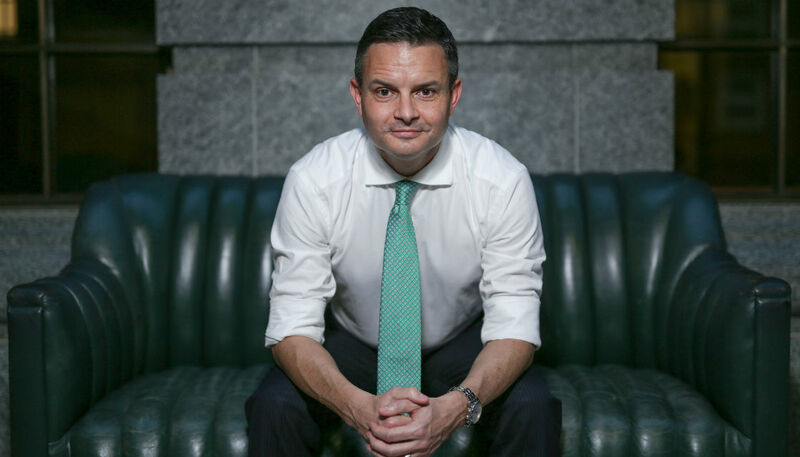 But Federated Farmers vice-president Andrew Hoggard says Climate Change Minister James Shaw is unwilling to discuss it. "This could be a real simple, easy-to-do solution. We'll do all the tests. If it's safe, let's not just dismiss it." Hoggard says farmers have repeatedly been told to "accept the science" on climate change - and now that many have, he wants the Greens to do the same. "We've got to accept the science… it would be good if the people who have said that also accept some of the science around GE." Could gene editing be an alternative to 1080? In March, Shaw told TVNZ's Q+A he was "not certain" genetic engineering of crops would be required. "I'd have to see how it goes," he told host Corin Dann. "I want to see what the science says about that and what the science ethics committee say about that. I would be led by the science on that." "I think it's something that should be looked into," said Hoggard. "It shouldn't just be dismissed because it doesn't fit the rhetoric of a political party's base." The Greens have also opposed using genetic engineering technology to help the country become predator-free by 2050. "We want to focus on existing tools, making them better and finding new tools without being diverted down the potential rabbit hole of GE research," Conservation Minister Eugenie Sage told Newshub in February.